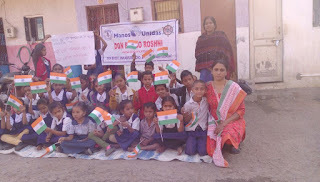 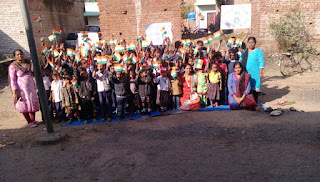 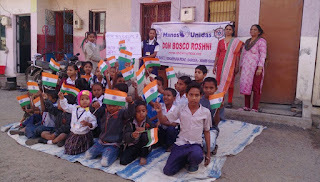 Vadodara (Gujarat), 25-Jan-2018: Don Bosco Roshni, Vadodara celebrated the Republic Day with holding a rally on ‘Save Girl Child’ in the slums of Vadodara. 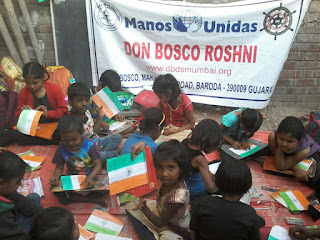 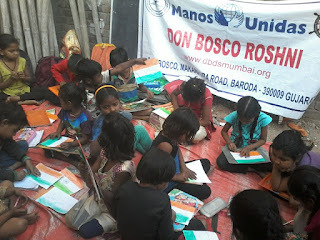 The rally was held under the aegis of ‘Children Education Project’ supported by Manos Unidas, Spain. 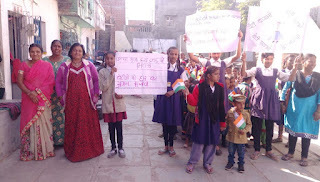 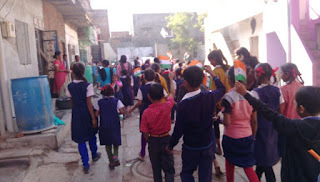 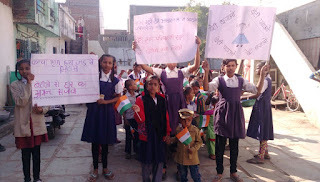 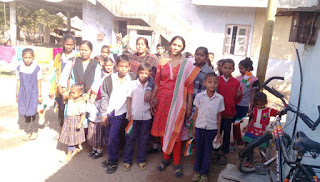 200 children participated in rally. 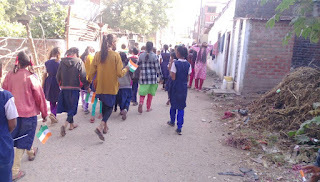 They went around the slums carrying placards, poster with ‘Beti Bachao, Beti Padao’ message and shouted slogans in its support. 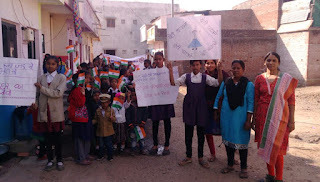 On this occasion ‘National Flag’ drawing competition was also held. 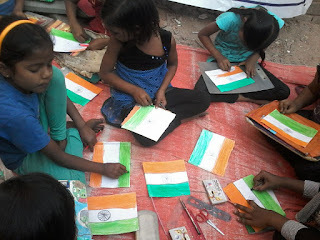 Children made their own flags and also coloured them.